Hello, I'm Gregor and I put this site together. 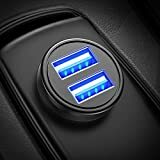 At first, you'll find an overview of recommended usb car chargers, followed by a public poll and a general buying guide on usb car charger. Further down on this page, we do link to other well-written articles and reviews about usb car chargers. At last, you'll be able to weight in your own opinion in the comments section. 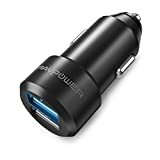 If you also want to vote on the best usb car charger, click here to view the poll. You're all piled into the car to go on that trip that you have been planning for weeks. You ask, "Did everyone charge up their devices last night when I reminded you to?" "My charger broke. I was going to charge mine in the car." "Yes, but I've been using my phone all morning so mine is almost dead." 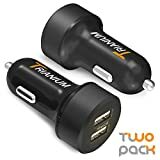 Your spouse opens the glove compartment and starts to untangle all the charging devices that either came with the devices or that you bought after market. But who gets first dibs? There are three phones, a tablet, the GPS system, a game console, the music listening device and two hands free headsets. Then comes the next problem. 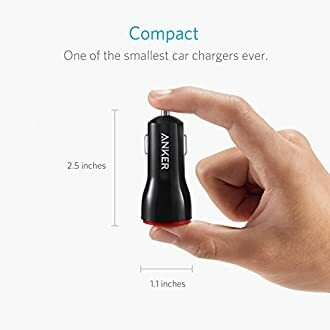 There's only one car charger plug, which used to be called the cigarette lighter. Then you hear that little voice in your head saying, "I told you to plan ahead." You mumble, "I did plan ahead." Your spouse says, "What are you talking about?" You pass the new multi-port USB charger that you recently bought to your spouse, smile and begin the trip. Luckily, technology has kept up with the times. However, there are a few factors to consider before spending money on a USB charging device for your car. This simple advice could save you some major headaches down the road. How Important is the Amperage Rating for USB Chargers? 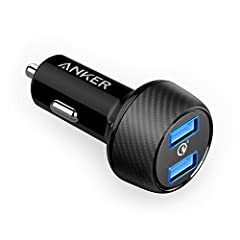 This is the most important factor when buying a USB car charger. Many cars have built in USB ports. Some of the newest vehicles on the market have up to 9 charging ports. In most cars these ports are useless. They typically have an output rating of 1 amp or less to each port. That is an insufficient amount of power to charge one device, much less more than one device. At the minimum the USB charger that you buy should have an output of at least 2.1 amps per port. Read the label carefully. The charger may advertise 2.1 amps or more, but that may be the total output for all the ports. 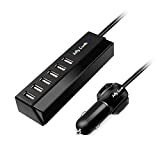 When you divide the total amperage by the 2 or 3 or 4 USB ports in the unit you will still have inadequate power to be able to charge multiple devices. The best chargers will provide between 2.4 and 3.0 amps per port. With 3 or 4 ports, first dibs on the charger won't be a concern. 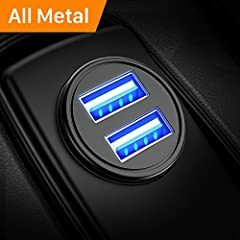 Do USB Chargers Drain My Car Battery? The simple answer is no, they don't. First of all, when your engine is running your battery is constantly being charged. Cars usually have 12 volt batteries and produce 10 amps of power to the charging plug when the engine is running. Secondly, in the majority of vehicles the power to the cigarette lighter is turned off when you turn off the ignition. In those cars where the power continues to flow from the battery to the lighter, leaving the USB charger plugged in overnight should still never be a problem. 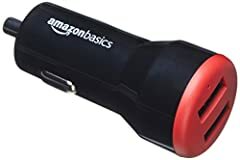 If your battery is fully functional and in good condition the USB adapter would take over 100 days to cause your battery to completely discharge. In the worst case scenario, with a worn out car battery operating at 50% capacity, it will still take about 20 days of inactivity for your battery to become depleted. Removing the adapter from the charger plug when you aren't using it is still a good idea. After all, you remembered to unplug the iron before you left for your trip, right? What Other Considerations Should I Keep in Mind? Many companies have developed quick charging capabilities for car chargers. These 3.0 devices will charge your phone just as fast as when you use the outlet in your home. "Smart" chargers will send the exact amount of power to each device that you plug into the charger. This ensures that each device will receive the correct amount of charge for their specific needs. USB chargers with cables that are permanently attached should be avoided. This is often where companies will skimp by using inferior materials. Once the attached cable fails, the charger, or at least that individual port, is no longer functional. The best advice is to use the original cable that came with your phone. If you need to buy a new one, a high quality cable is only a few dollars more than a cheap cable and it's worth the money. 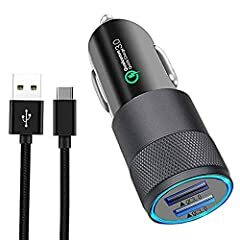 With so Many to Choose from, How do I Know Which USB Charger to Buy? Safety-Safety is the most important thing to consider. Everyone buckled up before you pulled out of the driveway. The Underwriters Laboratory (UL) safety certification is an important designation. Chargers without this certification will most likely be less energy efficient, may damage your device or even overheat to the point of starting a fire. Cables should have a UL certification for the same reasons. Brand Reputation-Name brand may not have been the most important factor that crossed your mind when you bought snacks to share on your road trip. However, when it comes to your car charger, settling for the generic brand is not advisable. Reputable manufacturers test their products and adhere to safety standards. Customer Reviews-Customer reviews will tell you what other consumers thought after using a device. The shortcomings and highlights of the product reviewed will be a solid guideline to help you make your decision. Online store sites and product websites make these reviews available by simply clicking a button or a tab. In addition, they will also provide a star rating for each charger. This rating is usually based on a 5 point scale. A general rule is that it is not advisable to make a purchase of a product whose rating is under 3.5 stars. Ratings of 4 points or higher indicate high quality devices. Another thing to consider is that the packaging and advertising for the product should tell you if the charger is compatible for your specific devices. However, product reviews might provide information that doesn't show up on the packaging. Some devices only work on Apple, Android or iPhone devices. 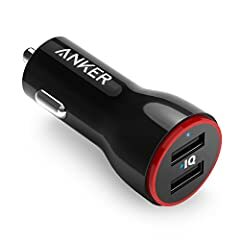 Cost-The range of prices for USB car chargers is between $7.00 and $50.00. You should be able to find the right one for you at a price of $20.00 or less. While it is often possible to find sales in physical stores, the discounts at the major online shopping sites will usually give you the best prices. Most of these sites will ship for free. If you prefer to buy in store, it is advisable to go to a specialty electronics store. The main reason for this is because, well, they specialize in electronics. While some big box department stores, also known as discount stores or warehouse stores may have electronics departments, they generally lack the variety, quality or availability that you will find in the specialty stores. Some USB car chargers have different pricing structure for the exact same model. The color of the product is usually the reason. One company increased the price of the black colored charger over the price of the white one. Of course, the black one was the featured item on the shopping site. By accidentally mousing over the small white charger icon, the differential pricing was discovered. 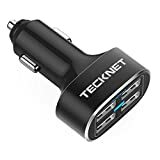 This guide should put you well on your way to evaluate and compare USB car chargers so that you can buy the one that best fits your needs. New: Our editorial list of additional articles. 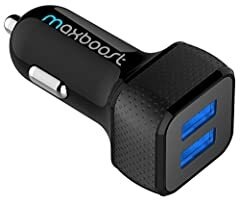 We decided to gather informartion all around the internet and present you a list of helpful, external links to interesting reads about the best usb car chargers and their reviews and guides. You're not convinced by the previous writings about usb car chargers? Of course you can just choose by visual impression, that's why we present you all our chosen products at a single glance. A click on any image is enough to open an external link to the best offer we could find. 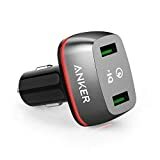 Finally, we want to present you our rating criteria for our usb car charger comparison, so you can better understand and comprehend our recommendations and the rating process itself. Furthermore, we still ask you to keep your eyes open for short term deals in order to make some great bargains with usb car charger in 2019. Published by G. Krambs on StrawPoll.com (last update on 2019-04-23 08:06:07). 20 of 29 readers found this article helpful.